Hey Friends! Thanks for your interest in donating to WRUW-FM’s 2019 Telethon, you’ve made a great choice. 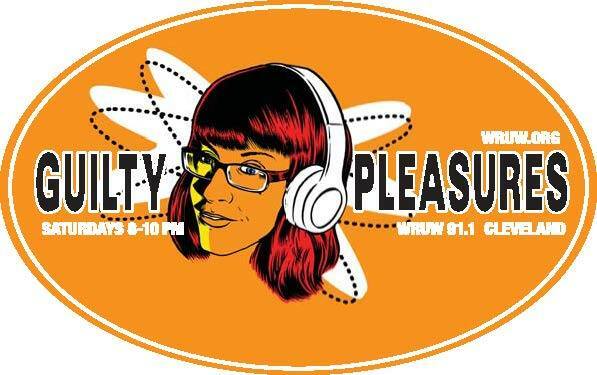 Please consider donating to Guilty Pleasures! This is my 10th Telethon on the airwaves and I’m shooting to raise $10k for college radio. When I first started DJing at WRUW I was a freshman in college. I loved listening to Neutral Milk Hotel, Bright Eyes and The Dead Milkmen. I had a crappy $10 FM radio I bought from Suite Lorain and added to the desk-scape in my dorm room. The first time I tuned it in I heard “Maximum Consumption” hosted by Jen and Katherine. I thought they were so cool. I learned so much about VEGETABLES, flowers and the Cleveland food scene. It was still one of my favorite shows until they went off the air a few years ago. I wanted to know who these women were and what the station was all about. Being a programmer at WRUW is an extension of loving music and being a FAN but above all else it’s about being a good listener. We love listening at WRUW-FM and we’re here to listen to YOU. There are many bands locally and nationally that would never get listened to by an audience of over 1 million people if it weren’t for independent college radio that plays their music because they LIKE it, not because someone is paying us to or forcing our finger to the button. WRUW is a community station made BY the community FOR the community. If you have a transistor radio in your home or automobile (even your Uber will work) you can listen to our radio station. People all over the world can listen to our station at www.wruw.org. We let you know about upcoming concerts, free events and assemblies, give you information about voting and upcoming elections… I have even Googled songs for callers. We give away FREE tickets to movies at the Cinematheque, The Cleveland International Film Festival, and concerts at Grog Shop, Beachland Ballroom, Now That’s Class, House of Blues and The Agora. It doesn’t matter to us if you’re a billionaire or are broke, we LOVE our listeners! And we want to continue to give you all of these amazing opportunities to connect with other non-profits and small businesses in our community. THAT’S OUR PLEDGE TO YOU. So please pledge to us! Help me raise $4k this year to meet my $10k commitment to equality in listening for ALL via college radio.